Isabella Martenson couldn’t believe how happy she’d been in the twelve months since moving from Melbourne to help her best friend Maggie in her new venture. Maggie’s property of Wirra Station was now a wedding venue and Isabella was the marriage celebrant. That day she was officiating over her 100th wedding in that year. 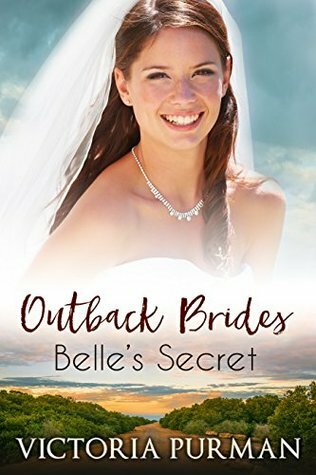 Belle’s Secret is the 2nd in the rural Outback Brides series by Aussie author Victoria Purman and I thoroughly enjoyed it. I’ve read #1 and #3 and this one was like catching up with old friends once again. A quick, easy-to-read rural romance which I have no hesitation in recommending. Sign into Goodreads to see if any of your friends have read Belle's Secret.